Rubber Room Ramblings: BECOME A RUBBER ROOM RAMBLER FOR ONLY $50! This is such an awesome deal, and it is only available for a limited time, so sign up now and start enjoying all the perks of being a Stampin' Up! Demonstrator. 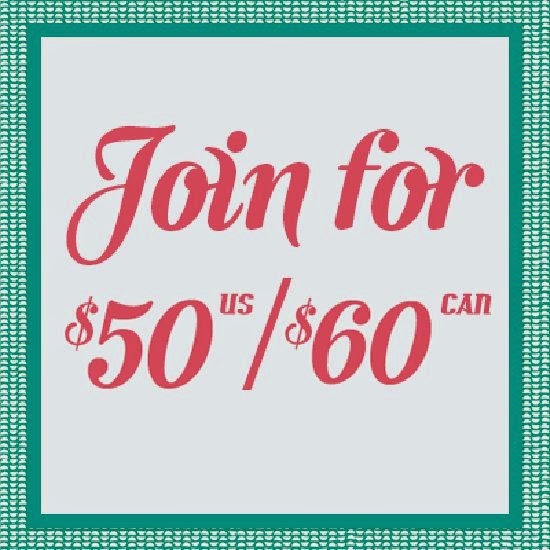 From now until June 30, 2014, you can join Stampin’ Up! for just $50 US/$60 CAN! This amazing opportunity will only last until June 30, 2014, so take what you already love doing—stamping and crafting—and make a little money while you're at it! The timing couldn't be better to take advantage of the fantastic products in new 2014-2015 Annual Catalog (catalog starts June 2). Create friendships that will last forever and enjoy the benefits of fun, friends, and creativity—become a Stampin' Up! demonstrator today. When you purchase your Starter Kit HERE, you will become part of my Stampin' Up! family and become a Rubber Room Rambler. In addition to all the benefits of being a Stampin' Up! Demonstrator, you can attend Rubber Room events for FREE, join in the fun of Demo Diva night, get one-on-one training, and lots more. I welcome both hobby demonstrators, (who join for the exclusive resources, discounts and to share their love of paper crafting) and demonstrators who want to enjoy the Stampin' Up! career.